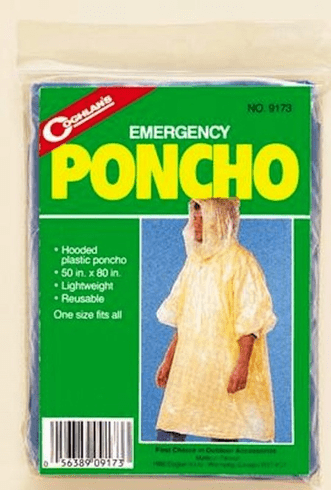 Lightweight, reusable hooded polyethylene poncho. One size fits all. Size 50" x 80"